Kaihua Box Navy switches, which sport a heavier spring than Box Whites, provide a heavy clicky experience that users may find tiring. There’s no gentle way to type on them or explain them, as they use a larger version of the Kaihua click bar. The switches are extremely, and very precisely, loud. Their solid downstroke “tock” is followed by a higher pitched upstroke tick. The sound is affected by contact movement, though that rasping noise is obscured by rapid typing. 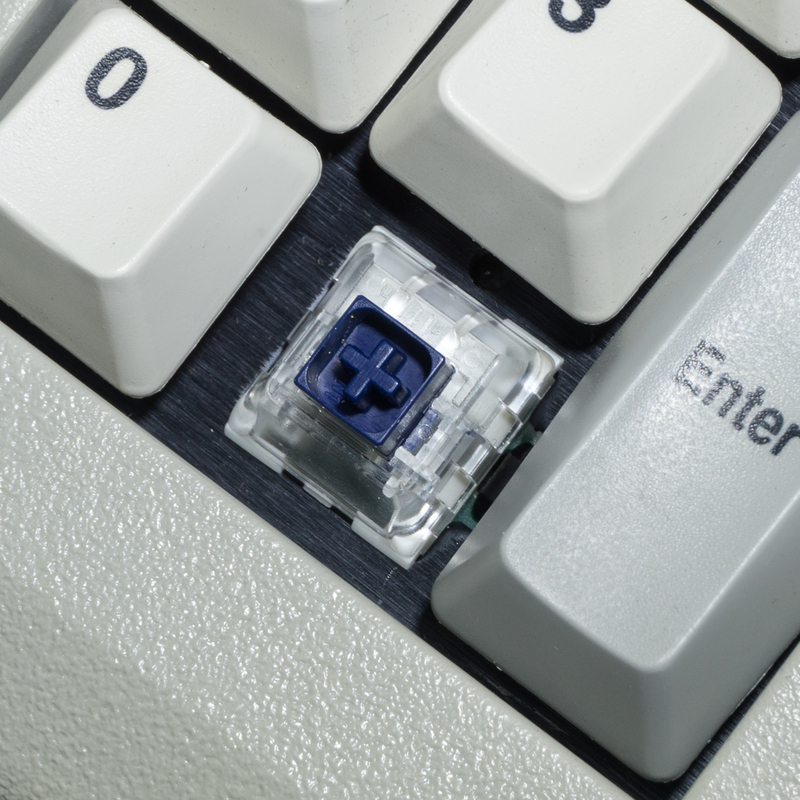 Most enthusiasts state that click bar switches sound better than MX-style clicky designs. Click bar size also affects tactility. These switches, unlike tactile-only box switches, feel precisely how their graph looks. A solid downstroke plateau serves up a “punch through the table” feel reminiscent of Alps variants. They’re also rather smooth. The upstroke is a bit less accommodating, as the click bar reset causes massive force drop off. One must come close to fully relieving finger pressure for the switches to reset properly. Note that Box Navy switches require significant force to depress when typing rapidly. Expect to rely on your wrists for power. Box Navys implement all general switch improvements from their series. Per switch drainage, isolated contacts, and reduced stem wobble contribute to a solid platform.